2011 release. The original orchestral/electronic score from Karel Kachyna's 1976 Czech film adaptation of Hans C. Anderson's The Little Mermaid, composed by Zdenek Liska (The Cremator/Fruits of Paradise) featuring Lenka Korinkova. Liska's legacy in the history of European cinema is huge in volume but relatively modest in its celebrity. 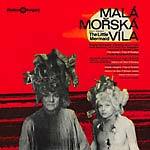 Having already composed nine scores for Kachyna's films to add to his 1976 filmography of 150 completed soundtracks, Mala Morska Vila is one of the most idiosyncratic and haunting undiscovered scores in the annals of European cinematic history. Much like the previous Finders Keepers firsts (Valerie and Her Week of Wonders and Daisies), this soundtrack is available for the first time ever. Beautifully remastered from the original mastertapes with the full cooperation of the seminal Barrandov studios in Prague. Featuring extensive liner notes on the film, score and Czech film industry from Andy Votel. 2011 release. 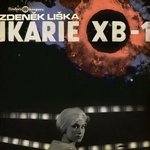 The original orchestral/electronic score from Karel Kachyna's 1976 Czech film adaptation of Hans C. Anderson's The Little Mermaid, composed by Zdenek Liska (The Cremator/Fruits of Paradise) featuring Lenka Korinkova. Liska's legacy in the history of European cinema is huge in volume but relatively modest in its celebrity. Having already composed nine scores for Kachyna's films to add to his 1976 filmography of 150 completed soundtracks, Mala Morska Vila is one of the most idiosyncratic and haunting undiscovered scores in the annals of European cinematic history. Much like the previous Finders Keepers firsts (Valerie and Her Week of Wonders and Daisies), this soundtrack is available for the first time ever. Beautifully remastered from the original mastertapes with the full cooperation of the seminal Barrandov studios in Prague.